A gripping story of love, death and danger in Nazi-occupied France from the bestselling author of The Throwaway Children. When Adelaide Anson-Gravetty finds out her father is not the man who raised her, she is both shocked and intrigued. 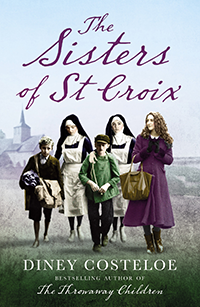 Determined to find out more about her new family, she travels to the convent of Our Lady of Mercy in France to meet her aunt, the Reverend Mother. But when France falls to the German army, Adelaide and the nuns are soon in the thick of a war that threatens both their beliefs and their lives. Collaborating with the Resistance, sheltering Jewish orphans, defying the rulings of Vichy France: these are dangerous activities in dangerous times. These courageous women must give all they've got in order to protect the innocent from the evil menace of the Nazi war machine.